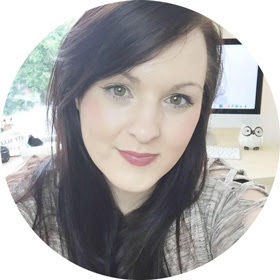 Each month I have a few favourite blog posts to type up, this is one of them. I get so excited to receive this box in the post and so do my dogs. This morning we sat on the bed together and opened up the box, they wanted to play with everything and eat all the treats right away. I had to try hide the box so that later in the day I could photograph it. they are now playing with the toys in the lounge, they are very excited about them. The doughnut is Bella's favourite and the ball is Juno's. I love how varied the box is from toys to treats, this month I think is the best box so far. Juniper likes to bath every now and then so the towel will come in handy. The towel would be great to pack in my car for when we go on long muddy, wet walks. My car suffers with paw prints and hair but I would not change that for the world. 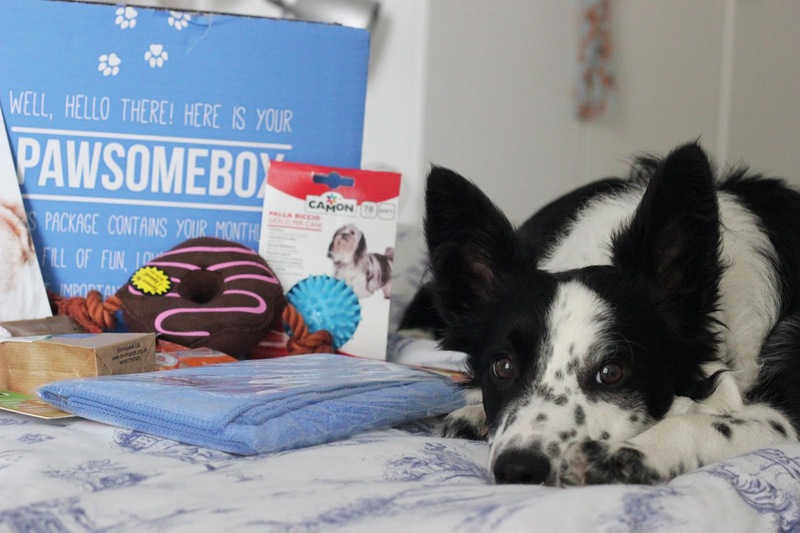 The best part about the box is that you get to try new products and the treat box gets refilled each month with goodies. I love how the box introduces you to new brands and brands that may suit your dogs diet. 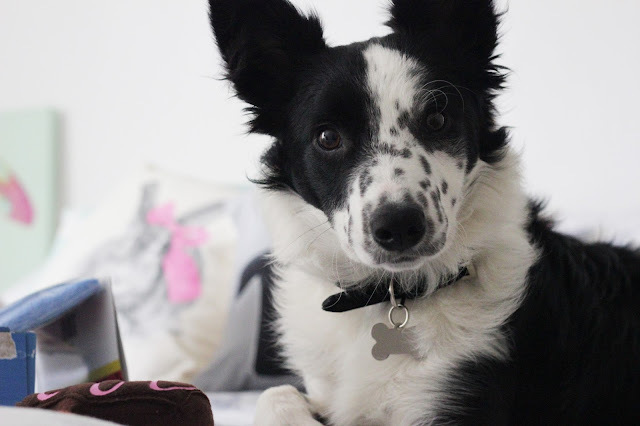 This is my seven month old Border Collie juniper, she is waiting for me to say she can have the toys. 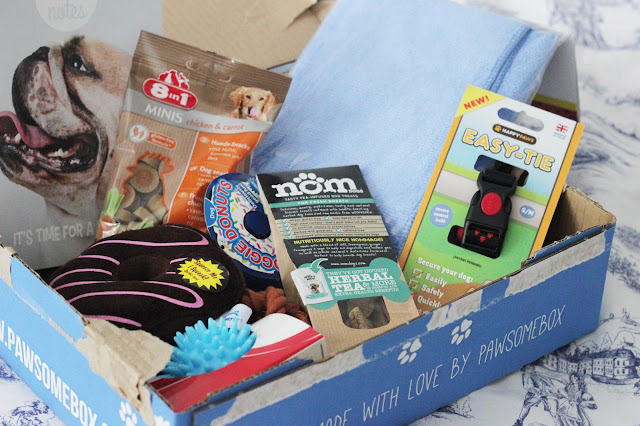 The theme of this box is, It's Time For A Walk which for my dogs and me is the best part of the day, rain or shine. Walking my dogs makes me very happy and the dogs love it too, great time to bond and to keep healthy. This is Isabella who loves the camera and knows if she's good she can have the toys in the box as soon as I have taken the photos. 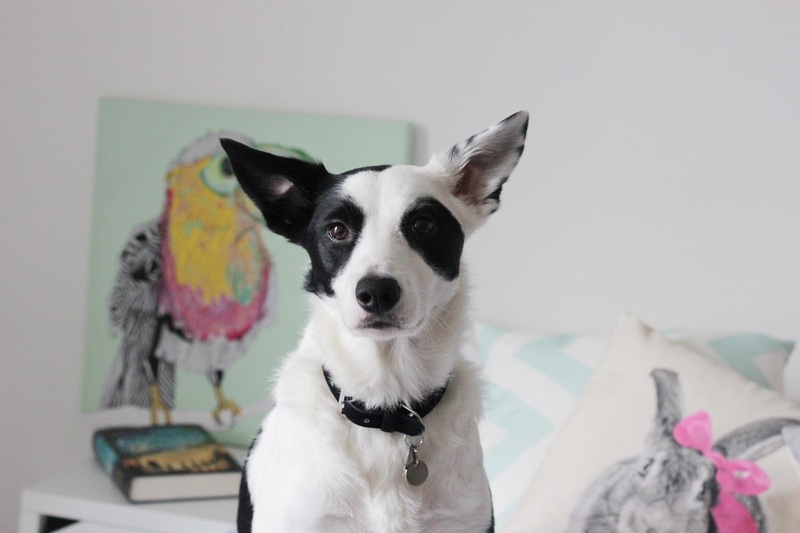 Bella is a four year old Border Collie who loves soft toys, so the toys in this box suit both dogs very well. 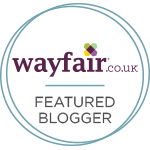 The products in the box are well worth over £30 each time, it has great variety in it. Here both dogs are having a good look inside the box before trying to steal the toys before the photo shoot. 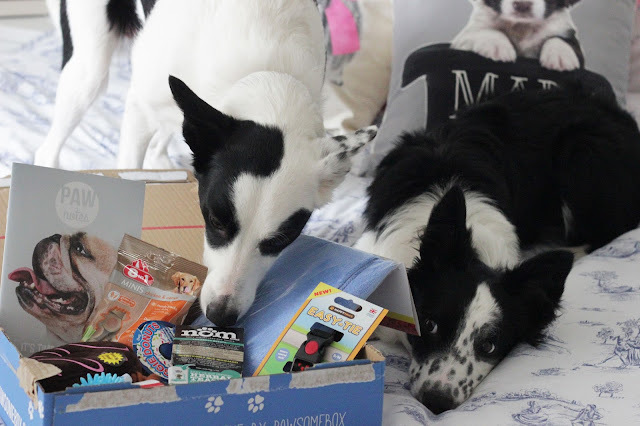 I really enjoy opening the boxes with my dogs, such a fun experience because each month the theme is different. I like the idea of the easy tie because you can use it in the car to stop your dog bolting as soon as the door opens. The treats are a good way of testing out products and also filling up the treat tin each month for training. 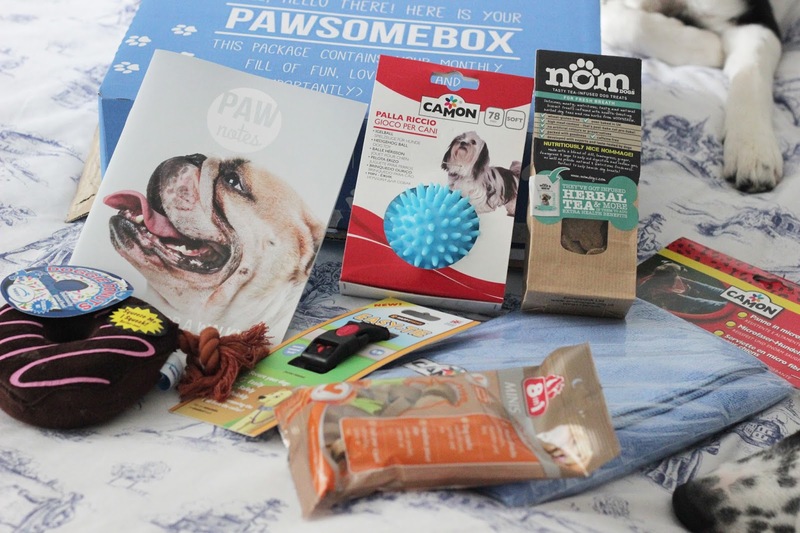 Overall a great box that we have enjoyed and thank you to Pawsomebox for such great service too.